If you have entered this site it is very possible that you may be feeling ready for some important change taking place in your life. It is also possible that you may be feeing the need to experience a change, but are not quite clear on what this change may be. Perhaps you have identified what needs changing in your life, but you feel that your actual motivation, your preparation or the means you currently count on are not quite enough to take this change forward. WEIGHT AND BLOOD PRESSURE. Would you like to have more control over your weight or your blood pressure? SMOKING AND OTHER HABITS. Would you like to get rid of some unwanted habit such as smoking, nail biting, or stop blushing? SELF CONFIDENCE. Would you like to feel comfortable and confident in social situations, when talking in public, even at work? ANXIETY, PHOBIAS, PANIC. Would you like to get rid of a phobia, or stop experiencing panic attacks? PAIN. Would your quality of life increase if you could reduce the pain or discomfort caused by symptomologies such as Irritable Bowel Syndrome (IBS)? SEXUALITY. Would you like to learn more about your sexuality, feel equipped and able to communicate to your partner/s your needs and wants in an honest and enriching way, both for you and your partner/s? Hypnotherapy can help you identify the resources that already exist within you, and learn strategies which will encourage you to function at your maximum potential. To regain control over the way you think, the way you feel and the way you do things, the way you behave. 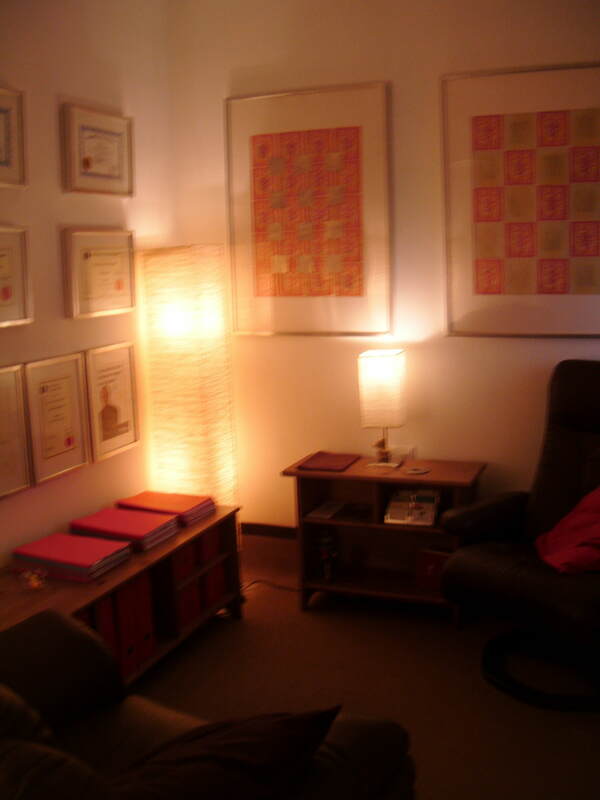 Clinical hyonotehrapy combines elements from behavioural therapy, cognitive therapy, neuro liguistic programming and analytical therapy with a state of deep relaxation and/or concentration known as hypnotic state. A hypnotic state is a natural state which manifests on its own during our every day life, for example at the moment of awakening or just before falling asleep. Similarly in occasions when we immerse ourselves in an experience, for example reading a book, or watching a film, in a way in which we do not perceive all what is being said and all what happens around us. These are all phenomenons caused by a hypnotic state. The hypnotic state is completely safe and natural. The hypnotised person has all the control h/she needs in order to hear all what is said and all what is happenning around them, as well as the power to come out of the state if they wish so. The hypnoterapist works as a guide, giving instructions which the patient folllows, as a sort of mental gymnastic exercises. These mental exercises are learnt and methodically practiced individually by the patient, in a similar way as a normal gym training would require. Hypnosis does not provoke any unwanted secondary effects. Clinical hypnotherapy is approved by the Briitsh medical Association (BMA) and by the National Institute for Clinical Excellence (NICE) as a safe and effective form of treatment for many medical and psychological symptomologies.